Pain and suffering may result from the consequences of cancer. The medical treatment designed to treat the disease often creates even more discomfort. Suffering also results from the effects of the disease on the patient’s quality of life. The pain and suffering nursing expert witness can be an effective addition to the liability expert testimony used in cancer cases. Reports should include key concepts and documents, helping the trier of fact to understand the totality of the plaintiff’s experiences. Nurses at Med League provide expert witness testimony regarding the contents of the medical records of patients with cancer. The body of the expert witness’s report describes the evaluation of the patient’s condition and the major problems experienced during the course of care. This can be described in a chronological fashion or in a problems-oriented approach. A chronological format may be developed in conjunction with a timeline of events. The body of the report summarizes each period of care, such as a hospital admission, or a period of outpatient treatment. From 1/23/09-2/26/09, Mr. Kelley received 25 radiation therapy treatments to his left axilla. In the weeks following radiation therapy, he developed loss of skin in the area that had been treated. The providers applied Vigilon dressings to this area. In a letter to Dr. Bill, Dr. Cane characterized this problem as severe radiation dermatitis. When seen by Dr. Bill on 6/8/09, the patient complained of feeling tired all of the time. A problem-oriented summary uses the medical records to organize the information within a period of care. For example, instead of detailing the patient’s problems week by week during outpatient treatment, the expert fact witness may explain the problems or pain and suffering of the patient. The format builds on the knowledge of the expert witness who uses a nursing framework for explaining the problems. Problems experienced by the oncology patient often include pain, alterations in body image, mood, and roles. Loss of independence, strength, and the ability to sleep uninterrupted may add to the suffering of the patient. 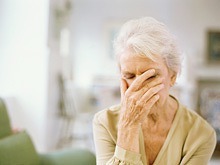 Suffering can result from unrelieved symptoms, such as nausea and vomiting, diarrhea, shortness of breath, and itching. Suffering may be exhibited in the form of agitation, anxiety, and depression. The medical record may document statements made by the patient, as well as observations of the healthcare team about the distress they observe. This material may be summarized in a narrative format. During this time, Ms. Steinway was highly anxious and began psychotherapy with Dr. Frederick Mellon. At the time of her first appointment on 1/16/08, she was described as very upset, fearful, anxious and depressed over her diagnosis. She said she was having a difficult time with chemotherapy. She felt sick a few days after receiving the treatment. She reported waking up a lot and having nightmares. Ms. Steinway was concerned about the chemotherapy making her menopausal and stated her desire to have children, even if it meant she would need artificial insemination. Although Ms. Steinway had been dating a doctor at the time of her diagnosis, she was afraid to return the call he made to her. She perceived that her life was filled with uncertainties and decision, including the oncologist’s recommendation that she have the other breast removed to prevent cancer in that breast. The psychotherapist elicited the information that Ms. Steinway had a pre-existing low self esteem and that the loss of her breast made her feel even more worthless. Ms. Steinway repeatedly wondered who could love her in her condition. She felt depersonalized, frightened, anxious, frustrated and angry towards the surgeon. Ms. Steinway discussed the impact of the chemotherapy in creating emotional stress and interfering with her memory. Ms. Steinway was 10-30 minutes late for her appointments and forgot one altogether. By the beginning of February, she was looking tired and feeling sick from the chemotherapy. She was very emotional at that time. In April 2008, Ms. Steinway continued to look worn out and pale. She stated that the loss of her hair made it difficult and awkward to go out socially. She was very frightened about the chances of cancer returning and was anxious about any change in her body. Ms. Steinway reported difficulty falling asleep and staying asleep. Nightmares plagued her. After the Portacath was removed, she expressed anxiety about signs of infection in that area. She continued to express low self esteem. Incorporating direct quotes from the medical record into the report is appropriate. Contact us at Med League to discuss how we may be able to help you, the plaintiff attorney, describe pain and suffering.